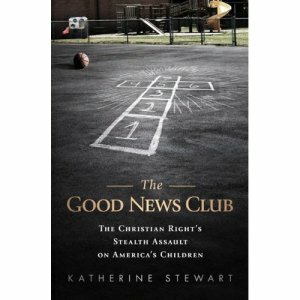 This essay began as my contribution to a discussion on the Atlanta Science Tavern message board having to do with the topic of a recently announced meetup, The Christian Right's Assault on Public Education and the Science Curriculum, featuring Katherine Stewart, author of the book, The Good News Club. One of our members Deb spoke out about what she felt was the threat posed by the kind of close mindedness which would prevent including creationism, for example, in the public science classroom. What follows is an edited version of my response to her. I wanted to add to this lively exchange by trying to focus the discussion to see if we can make some headway with the issue at hand - or at least what I believe to be the issue at hand - and that is the proper way to go about formulating the science curriculum for public primary and secondary schools. Let’s begin by turning our attention to Deb’s concern about the price we pay by closing our minds to alternative points of view in science and elsewhere. In some respects I couldn’t agree more, open mindedness is a personal virtue, one that I aspire to in my own life. I hope that I can live up to Deb’s expectations for me! Of course, our striving for open mindedness has to be tempered with what I would call discernment. Each day we have to entertain a myriad of choices, but ultimately we have to make final decisions, sometimes critical ones having to do with our own welfare or that of other people. Good judgement is the balancing act we perform that results from maintaining an open mind while relying on significant lessons we have learned about what sources of information and advice we can trust as we go about selecting between alternative courses of action. In addition, I would agree with Deb that it is incumbent upon us to inculcate open mindedness in our children, and I do believe that the schools, both public and private, have an important role to play in this process. That said, schools are also a way for us confer upon our children the hard-won rewards of our experience, not only as individuals, but as a culture and as a civilization. To lay before them a set of options without offering them the benefit of our collective knowledge would be a disservice, perhaps even a crime. Nowhere is this obligation clearer than in the K-12 science curriculum. That is because, unlike other other fields of human endeavor, after centuries of struggle, the scientific enterprise has answered fundamental questions about the nature of the world beyond any reasonable doubt. The confidence of these positions is embodied in what is called the scientific consensus. While acknowledging that scientific “truths” such as these are always provisional, we understand them to be of a different quality than competing opinions and so raise the bar as to what will be the foundational knowledge that we choose to transmit to young and growing minds. To understand this better, I think that it is useful for us to consider another element of the science curriculum and that is the germ theory of disease. I ask that the participants in this discussion to test the validity of their approaches by considering how well they fare in this analogous context. The germ theory of disease, the idea that disease originates, at least in large part, as the result of infection by microbes was, like Darwin’s theory of evolution by natural selection, a triumph of 19th century science. This is not to say that it reached its current form then. 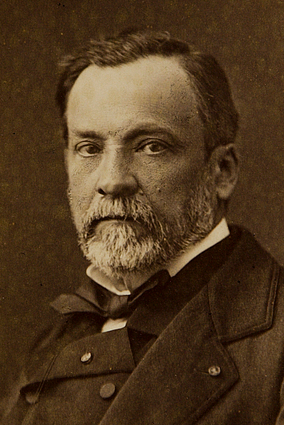 Viruses were unknown to Louis Pasteur. Likewise, the injuries that can result from chronic exposure to, say, low-level radiation or pesticide residues were unanticipated by Pasteur. No doubt, much of the harm that befalls us is self-inflicted, indicative of bad “lifestyle choices” having to do with diet, for example or the use of addictive drugs and has nothing to do with germs. Nonetheless, the germ theory has become enshrined as part of the scientific canon and recognized as the undisputed scientific consensus. More than a theoretical notion, Pasteur’s and Robert Koch's legacy has been the foundation for the development of medical therapies - everything from the practice of asepsis in hospitals, to childhood vaccinations to antibiotic drugs - that have saved hundreds of millions of lives. Be that as it may, a controversy still swirls around the germ theory of disease, not in the scientific community, but in a variety of sectors of the public mind. Some of these challenges have to do with an understanding of the very origin of disease itself, with the blame laid not with bacteria and viruses but with such things as an imbalance of energy fields in our bodies or the misconfiguration of our spines. 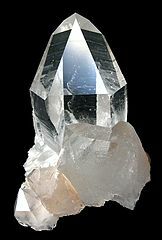 More commonly the controversies have to do with what constitutes effective treatment of disease, with homeopathy and crystal healing being offered notably as competing "alternative" therapies. There is even significant opposition from some quarters to vaccination as a safe and effective public health measure. I want to emphasize that the question I am posing is not whether there is some documented basis to these competing claims - I am confident that the list of citations is endless - but whether they should be introduced into the public school curriculum to balance the teaching of the germ theory of disease. Would we be derelict not to include our classroom discussions the presentation of homeopathy, crystal healing, chiropractic as effective alternatives to the treatment of human ailments, on a par with antibiotics and accepted surgical practice? Are we obligated to teach this controversy? 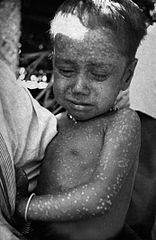 Should we instruct our children in elementary school that they should be suspicious of the vaccinations that their family doctors give them, telling them that there are some people who say vaccines are not only ineffective but even dangerous? Furthermore should the science curriculum in this regard be expanded to include a discussion of the “ultimate” cause of disease, causes that in some immaterial sense precede its origins in entirely natural processes? Should students in a high school biology class learn that disease might find metaphysical roots in the karmic balancing of accounts from our past-life transgressions? Should they be taught that cancer, for example, could be construed as the fruit our original sin and proof of our fundamentally corrupt nature? There are not an inconsiderable number of people, if the popularity of Oprah's book selections is any indication, who believe that the ailments that beset us, including those that torment the tiniest infants, emanate from our failure to maintain a positive attitude about ourselves and about the world around us. Should these points of view be included in our biology textbooks? So, in closing this addition to the discussion, I ask for you to put the particulars of evolution debate aside and consider the analogous question about teaching a different scientific theory - with an open mind of course. I look forward to hearing whether you see the parallels as being applicable to the original debate and how concerns about “teaching the controversy” might apply here. Open Mindedness and the Teaching of Science in Public Schools by Marc Merlin is licensed under a Creative Commons Attribution-ShareAlike 3.0 Unported License. Brother Marc is one of the smartest people out there ! Very nice reasoning. I abhor that saying: "Teach the controversy". Did that arise from one source? Thanks, Ted! I had thought that the slogan "teach the controversy" originated with the Discovery Institute. But apparently they borrowed if from someone who had devised it for other purposes.